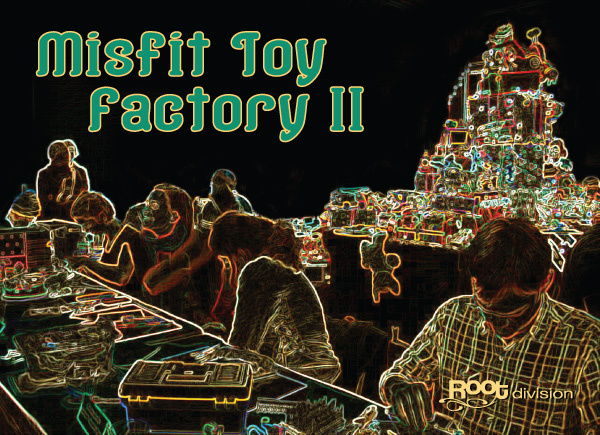 Root Division presents The Misfit Toy Factory, a live artmaking event featuring over 35 artists making sculptures, toys, and giftables onsite in the gallery space at Root Division. All works made in this one night only event will be cash and carry for $40 each. Join the misfits for a night of mayhem and making, and get your holiday shopping done in style!